So, drivethrurpg’s GM’s Day sale is over. 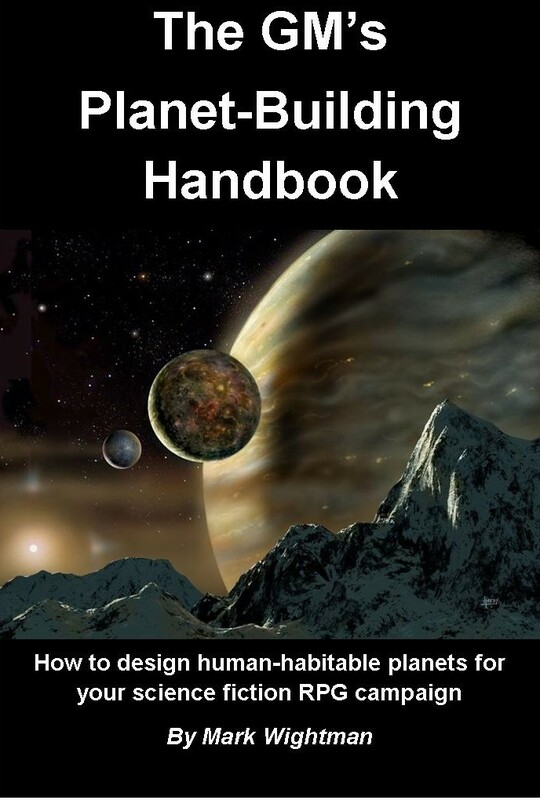 It certainly seemed to boost sales, as our GM’s Planet-Building Handbook went up a level to get an Electrum Best Seller Award! It’s Sale Time! There’s 25% off all those of our products sold at drivethrurpg.com and wargamevault.com. The sale lasts until the end of this week. Chariot of the Gods is a scenario designed for a party of 4-8 players. The party need to cross an inhospitable mountain range – luckily, a miraculous flying ship in the charge of a kindly cleric is available. Of course, life is never that simple: the local villagers need help in a desperate search for an abducted young couple, and the skies along the journey are by no means friendly. Also, is the cleric really as kindly as he seems…? 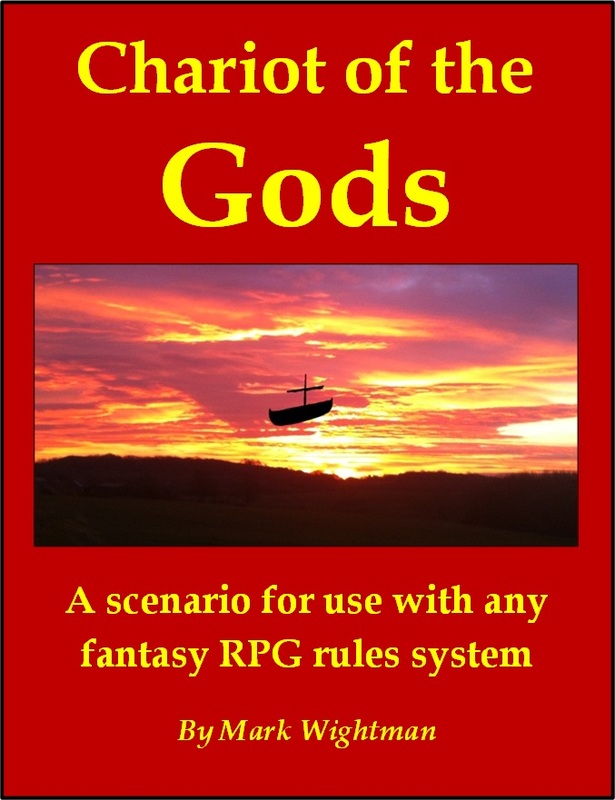 The scenario is generic, designed for use with any fantasy RPG rules. At present it is only available as a PDF download from drivethrurpg.com, at a price of $2. HOWEVER… if you’re reading this ahead of Monday 4th March then you might want to wait until then before buying, as we will be participating in a week-long sale at drivethrurpg.com starting at 10am Eastern Standard Time and lasting all week.